The Malawi Microfinance Network (MAMN) is pleased to inform all civil servants that our member Microfinance Institutions (MFIs) involved in payroll lending with the government ministries and departments have now resumed all lending activities. Malawi Council for the Handicapped (Macoha) has bemoaned the tendency to sideline people with disabilities from microfinance institutions (MFIs) when disbursing loans. institutions in the country under the financial innovation grant scheme. The Microfinance sector has made progress on the regulatory front and is expected to register more agencies by the end of this year. Malawi Microfinance Network (MAMN) Chairperson Fumbani Nyangulu has said. It is an honour and it gives me great pleasure this evening to be with you at this Celebration of 500,000 Data Entry Mark and Launch of “Be the first to know” Campaign. This gathering is important in several aspects. First, it accords an opportunity to appreciate and take stock of what Credit Reference Bureaus and the microfinance industry has done and achieved following passing of the Credit Reference Bureau bill by Malawi Parliament in 2010 of which Credit Data CRB Ltd is one of the licensees. Secondly, the gathering will appreciate and benefit from the level and scope of representation this evening. I can see participants from the microfinance industry, government institutions, accountancy profession, private sector and other key stakeholders. This shows serious commitment to the efforts of Credit Data CRB Ltd rolling out the Credit Bureau Services. 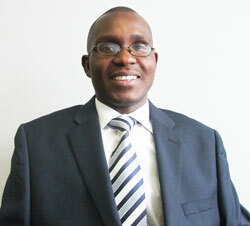 The Board of Trustees of Malawi Microfinance Network (MAMN) is pleased to announce the appointment of Mr. Duncan Namoni Phulusa as its Executive Director effective 13th January 2014. His appointment comes after the passing on of Mr. Stewart Kondowe who until his death was the Executive Director, May his soul rest in eternal peace. Mr. Phulusa has served in various senior positions as Country Operations Manager at Pump Aid Malawi, Director of finance and Administration at Family Planning Association of Malawi, Regional Manager at National Lottery Group Ltd, Financial Accountant at National Lottery Group Ltd and Business Development Manager at ROC UK Ltd.
On behalf of my Director, Microfinance and Capital Markets Supervision, it gives me great honour and pleasure, this morning, to be with you at this Annual General Meeting. This meeting is important in several aspects. Firstly, it accords an opportunity to do a postmortem of what the microfinance industry has done and achieved in the past year. In this respect, the meeting will receive management and financial reports for the past financial year.